Let our team be the friendly voice of your organisation. Why Use a Virtual Reception Team? We’ll make sure every call is answered quickly and professionally. Improve efficiency by having calls transferred to the right people in the right departments. We'll help you cut hold time and improve customer satisfaction. Not every business has the resource to capture every call, especially if you’re in high demand. Even so, it’s important that your customers get a telephone answering service that accurately reflects your values. When you opt for a virtual receptionist service from CALLCARE, we’ll take the time to get to know your business. We train all of our reception staff to the highest level, enabling them to take your calls confidently and professionally so your customers enjoy a seamless experience. We work hard to improve your business’s efficiency. Our operators transfer calls to the relevant department, and, if no one is available to answer the enquiry, we’ll take a message to ensure you never miss an opportunity. We care about your customers as much as you do – Our virtual receptionists don’t just take calls; they go the extra mile to provide your customers with the best possible experience every time they get in touch. 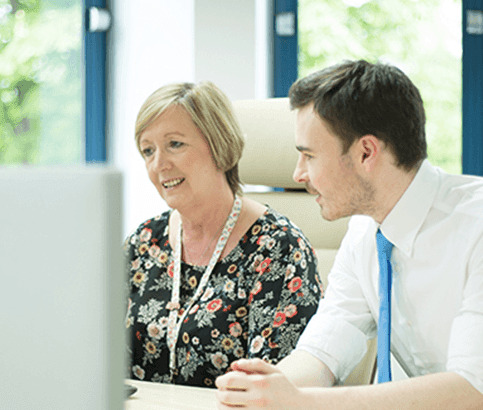 We have plenty of experience – We’ve been providing outsourced receptionist services for over 20 years, and in that time we’ve learned a lot. Rest assured our team has the knowledge and the experience to handle every call to the highest standards. We understand your business – When you choose any of our services, we take the time to get to know your business and common pain points for your customers. It’s how we’re able to provide such a high quality of service. Give your customers the welcome they deserve whenever they call with a virtual receptionist service from CALLCARE. Whether it’s saving money or alleviating pressure on in-house staff, our virtual receptionist services offer a wide range of advantages that can help you reach your business goals.